Top UNI log gift ideas for men or ladies! 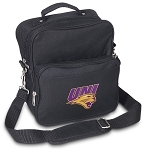 Official University of Northern Iowa logo merchandise- up to 10% returned to support UNI programs. Deluxe University of Northern Iowa Apron Pink - MADE in the USA! Deluxe University of Northern Iowa Apron MADE in the USA! Deluxe University of Northern Iowa Apron - MADE in the USA! Deluxe University of Northern Iowa GrandMa Apron Pink - MADE in the USA! Deluxe University of Northern Iowa Mom Apron Pink - MADE in the USA! Deluxe University of Northern Iowa Dad Apron MADE in the USA! Deluxe University of Northern Iowa GrandMa Apron MADE in the USA! Deluxe University of Northern Iowa Grandpa Apron MADE in the USA! Deluxe University of Northern Iowa Mom Apron MADE in the USA! Deluxe University of Northern Iowa Dad Apron - MADE in the USA! Deluxe University of Northern Iowa GrandMa Apron - MADE in the USA! Deluxe University of Northern Iowa Grandpa Apron - MADE in the USA! Deluxe University of Northern Iowa Mom Apron - MADE in the USA!